WIU Senior Political Science Major Interning in Washington D.C.
MACOMB, IL – Western Illinois University senior political science major, Margarita Sotelo, is spending the semester in the nation's capital as a congressional intern for the Congressional Hispanic Caucus Institute (CHCI). 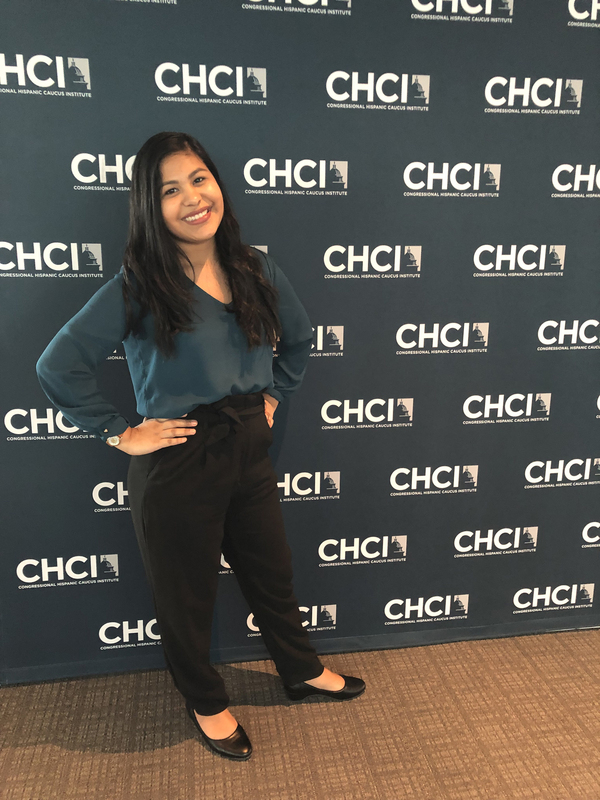 The CHCI is a nonprofit organization that provides leadership development programs and educational services to students and young emerging Latino leaders. The organization gave Sotelo the opportunity to work in one of the offices of the U.S. House of Representatives. 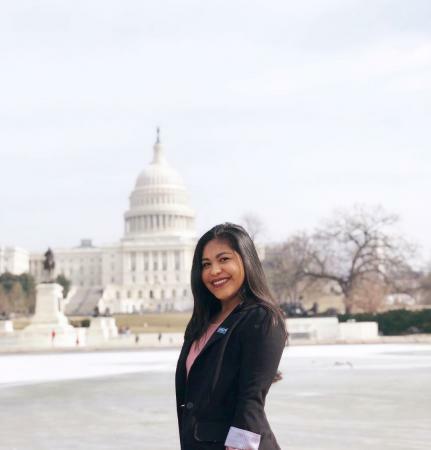 "As an intern, my responsibilities include responding to constituent inquires, writing policy memos, conducting legislative research on issues and attending congressional hearings and policy briefings," said Sotelo. "I also attend weekly sessions programmed by the CHCI, which include speakers, presentations and discussions surrounding issues that affect the Latino community." 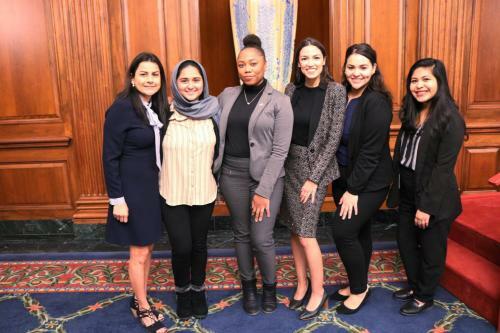 On top of the educational nature of her internship, Sotelo has also been provided with other incredible opportunities while in D.C.
"Through this internship I've been able to network with professionals in the workforce from various fields, like the Facebook Manager for Public Policy," said Sotelo. "I also get to see members of Congress on a daily basis and learn about the bills being proposed and issues affecting our community first-hand. 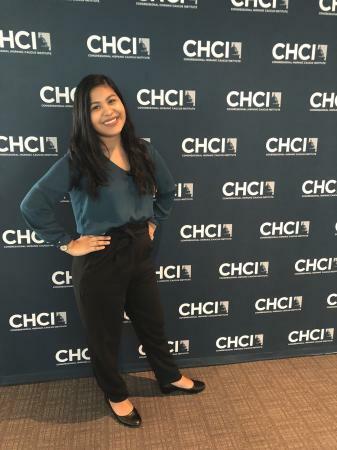 The opportunities that the CHCI provide are beyond what I ever could have imagined." Professor Keith Boeckelman, chair of the WIU Department of Political Science, acknowledges just how crucial opportunities like Sotelo's really are for a student's education and future careers. "The internship experience helps students make connections in the workplace that can lead to future jobs," said Boeckelman. "Hiring in politics and government is often based on personal ties, so Margarita's ability to spend a semester in Washington will help her immensely in making professional contacts." Besides her formal education and the countless networking opportunities, Sotelo also says she has learned some great lessons that can be applied to any work setting as well. "One of the biggest things that I've learned is to take initiative. It doesn't matter if all you are doing is stuffing envelopes or answering phones. People will notice everything you do, especially the effort you put into the work," said Sotelo. "Not to mention you never know where someone you are working with could end up. They could become the president or a CEO." Sotelo said her time at WIU has really helped her succeed in her internship. "Having to juggle multiple student organizations, campus activities and my coursework has helped me deal with the heavy workload of this internship," said Sotelo. In addition to her campus involvement and formal education, Sotelo said the relationships she has been able to develop on campus have been beneficial. "Even more than my school work, the professors and faculty of the political science department have given me the support to take on this experience and have helped me believe in myself. They helped prepare me by being more than educators, but mentors and a support system," said Sotelo. "Specifically I'd like to thank professors Boeckelman and Julia Albarracin, who first presented this internship and helped me with my application." For more information about the WIU Department of Political Science, visit wiu.edu/politicalscience.